Love, Lies and Lemon Cake is a really sweet love story which follows Faye Dobson who decides to move on from her stale marriage and meets super dreamy Australian surfer Dan. Dan reignites a spark in her which encourages her to put herself first and enjoy life. I really enjoyed reading this book. I found it such an easy read and quickly became invested in the characters. I loved how the story unfolded and the new experiences that Faye was enjoying. I found it really uplifting. Perhaps a little too short?! 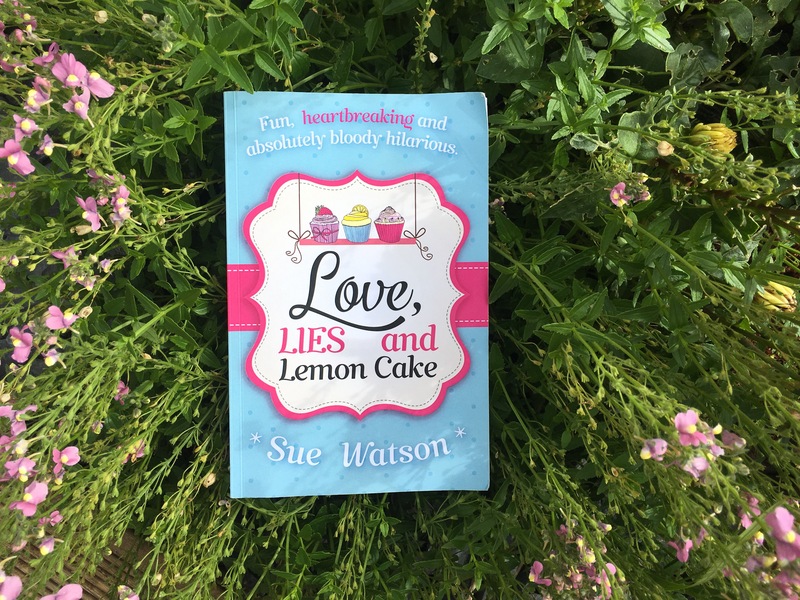 Have you read Love, Lies and Lemon Cake? An Abundance of Katherines, written by John Green, tells the story of boy genius Colin and his journey of love through dating Katherines. I’ll be completely honest and say that I didn’t find this a particularly gripping or interesting read and was actually a little bit disappointed that I wasn’t completely held by it like I have been with John Green’s other work. I found the pace quite slow and whilst I didn’t hate the style and the story, I just really feel like it’s missing some magic. It’s quite a short read, but it seemed to take me forever (I’ve lost count of how many holidays this book has been on!) purely because I wasn’t desperate to chase the story onto the next page. I was, however, quite satisfied with the characters and the setting. I also liked reading about their road trip whilst actually being on one of my own. Have you read an Abundance of Katherines? So I’ve not had a great couple of months when it comes to reading. I finished reading Vogue from the last book club instalment and have since fallen out of the rhythm of reading. Life’s been beautifully busy and I’ve sadly just put reading on the back burner. Anyway, I’m going to try and get back into a routine of reading before bed because I’ve got so many books at home waiting to be read and I just need to get back on it. So I finished Vogue a couple of months back and I thoroughly enjoyed it. I think that it’s probably not a book for everyone but as someone who enjoys reading the magazine, it was interesting to have a sneak peek behind the scenes and Alexandra Shulman has a lovely way of conveying things. I particularly enjoyed her humour. I would recommend this to someone who is interested in fashion, the media industry or who enjoys Vogue. 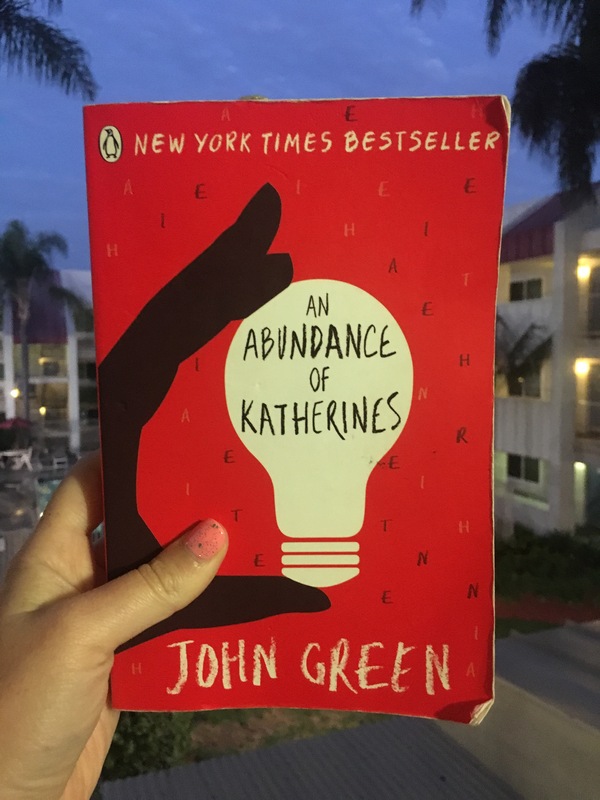 This leads me on to the next book club title… An Abundance of Katherine’s by John Green. 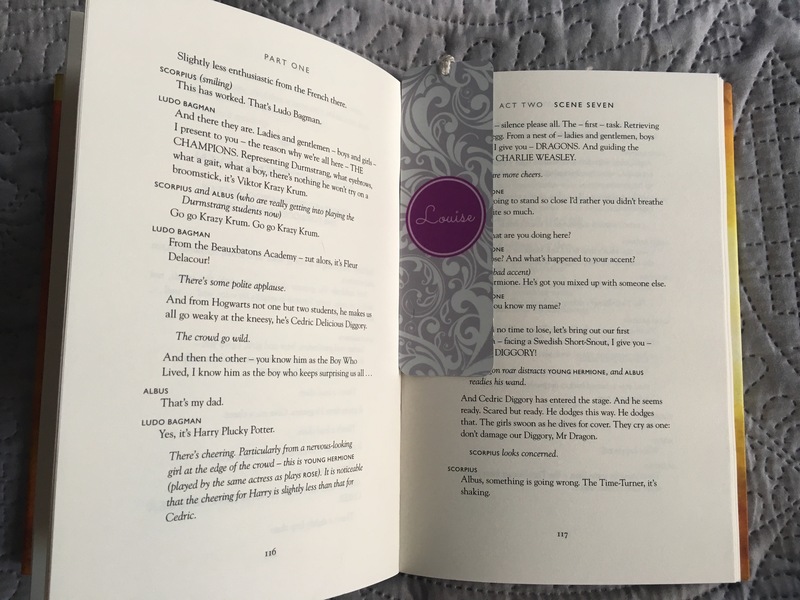 My copy is a little dog eared from being dragged around hoping to be read (it’s been all over London, Belgium and California!). I like John Green’s writing style, so I’m quite excited about finishing this one. Have you read Vogue? What did you think? I absolutely adore anything about books. Reading them, writing about them, just generally holding them in my hands. They just make me so happy. I’m not hell bent on genres either, so long as they are well written, I’m in. With all this in mind, I thought it might be nice to start a book club section on the blog. I love hearing people’s recommendations and am pretty happy to give most things a go. I try and read a book a week, but that doesn’t always work out. Anyway, I was thinking of posting a recommendation once a month. It will be a book that I haven’t read yet and the following month I will propose a new title and a review of the book from the previous month. Then we can have a chat about them?! So there’s the plan! 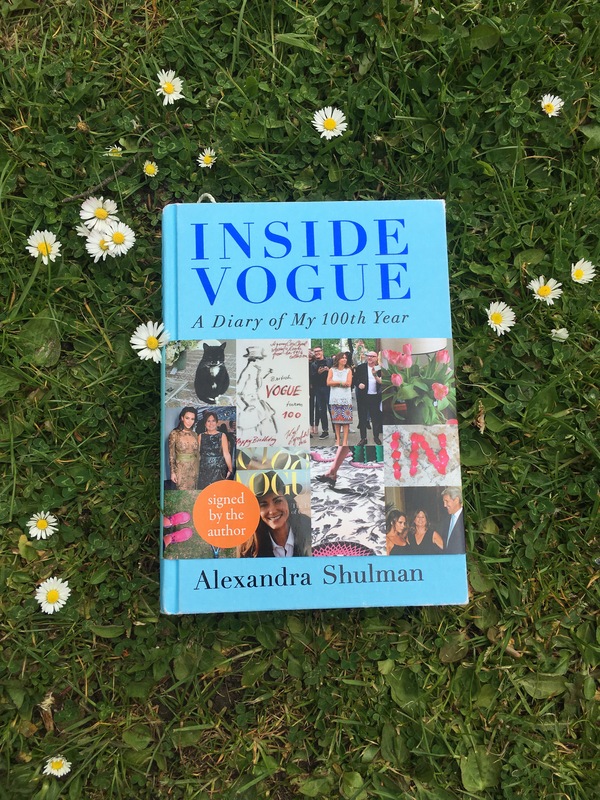 This month’s book club book is Inside Vogue by Alexandra Shulman. I’ll be back with The Book Club update in June. Unless you have been living on Mars for the past twenty years, you would have heard of both J K Rowling and Harry Potter. You most likely have also heard of the highly anticipated play that brings us the next instalment of Harry’s life and lit up the West End at the start of the summer. I first started reading the Potter books whilst I was at secondary school. Only the first couple of books had been released and I was immediately hooked. The way in which J K Rowling told the story of this young boy who had been orphaned and was actually a wizard completely mesmerised me. Coupled with the release of the movies, my brother and I were transformed into Potter fans. Ever since then I’ve followed the release of both books and movies as well as treading the sets at the studio tour in Leavesden and hurling myself around The Wizarding World of Harry Potter. I just love it. That’s why I was so super excited when Harry Potter and the Cursed Child landed on our doormat in the summer. This latest offering follows Harry’s family , nineteen years later. At first you are reacquainted with the characters and you begin to learn about how their relationships have developed. The new characters (predominantly Albus and Scorpius), are brought to life, although soon enough old habits return and we are thrown back into a world of Hogwarts and dark magic. Not to mention that painful scar. I was terribly sceptical as the story is presented as the script for the play, completely unconventional to the other novels. I wasn’t sure if I would become quite so consumed with stage directions thrown in and it being predominantly dialogue. I was worried that the charm would be lost. Anyway, within the first couple of pages I was immediately hooked and simply could not put it down. The storyline is fabulous and I love that they’ve chosen to go down the route of playing with time. It feels wonderfully majestic and although it is mostly dialogue between actors, I was still able to conjure up each scene visibly in my mind. I did feel that a few scenes felt rushed though and some expansion could have been created, although it’s important to remember that this is a play form of the story and that it needs to be told differently. It made me feel nostalgic and I love that Harry has grown (just like us!). 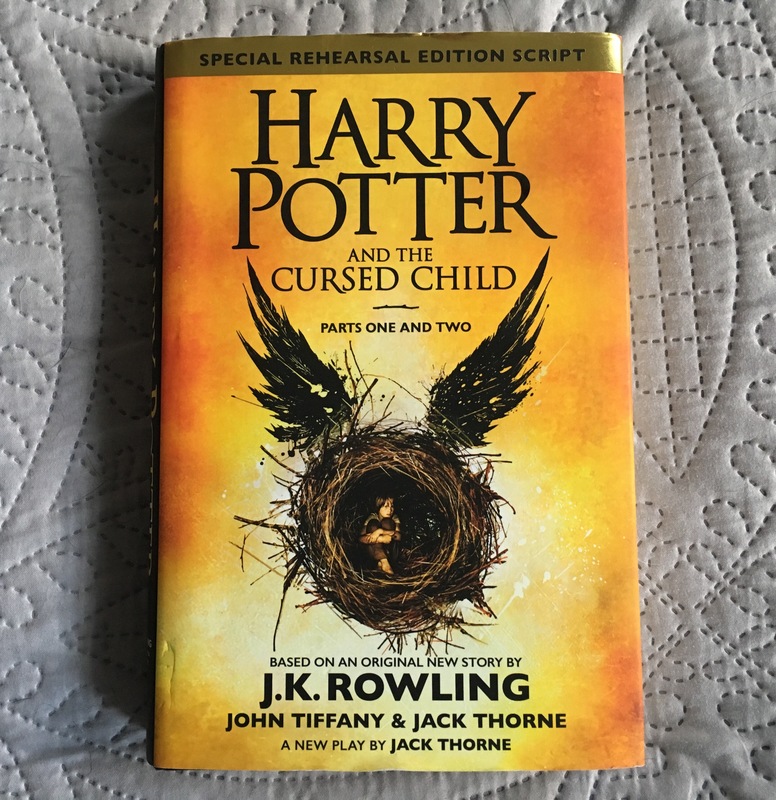 I feel like there’s room for expansion, the great story of the Potter’s could easily continue, so I doubt that this will be our last instalment. Summer, holidays and a good book go hand in hand. There’s something about soaking up some sunshine with a book in hand or killing flight time immersed in a fabulous plot that’s just rather special. I love choosing which books to take with me, spending hours wrapped up in a storyline so gripping that for a moment nothing else matters. 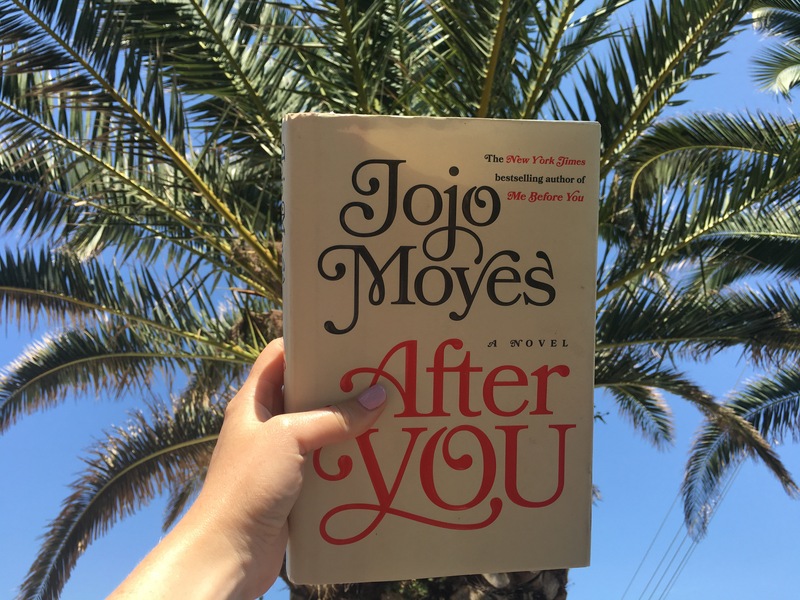 I’ve been a huge fan of Jojo Moyes for years and was literally about to burst with excitement when her latest offering, After You, hit our bookshelves. We happened to be Stateside when it was released and I made sure I picked up my copy from a local Target store. I already had another book on the go, so popped my latest treasure to the side until alas it was time to find out what happened next to Louisa Clark. I’ll be honest, I was expecting great things from this book. My expectations were not just sky high, they were out of the universe and back. 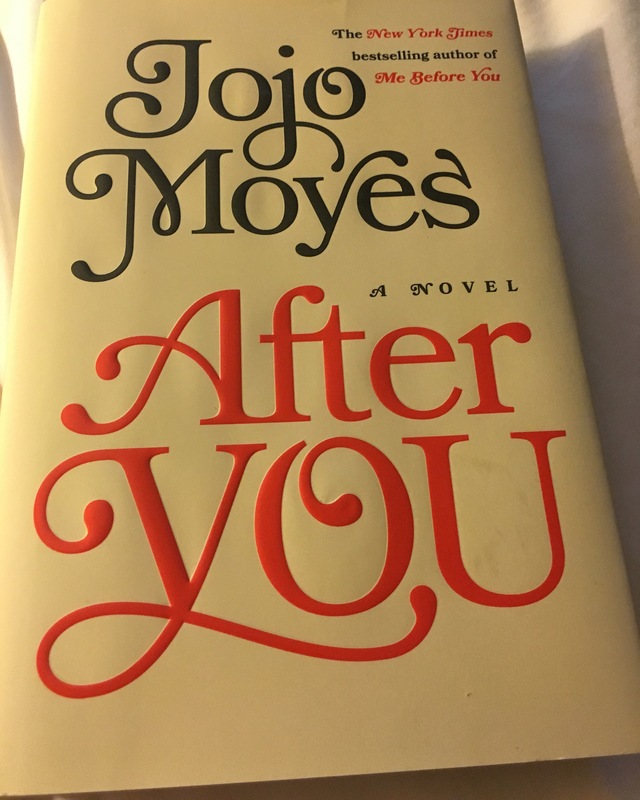 There must have been such a vast amount of pressure put on Jojo to write a successful follow up to critically acclaimed Me before You and it must have been quite terrifying for her. That being said, I wouldn’t say that this was quite what I was expecting. In some ways I wasn’t sure what to expect, but I was definitely expecting something magical and sadly I’m not certain that this was sparkly enough. From the start I felt like Louisa was rather unfamiliar and I get it, she went through something life changing and she changed. I’m just not sure if it was entirely consistent with the Louisa that I felt I knew. The storyline itself also felt a bit odd and at first I really wasn’t sure of where it was going. The last one hundred or so pages were brilliant though and I loved being dragged through the trials of Lou’s life. I loved the new characters, the representation of the old ones too. I feel like the last one hundred pages were what I was expecting all along and I was once again in love. Have you read After You? What did you think? What’s on your to-read list? 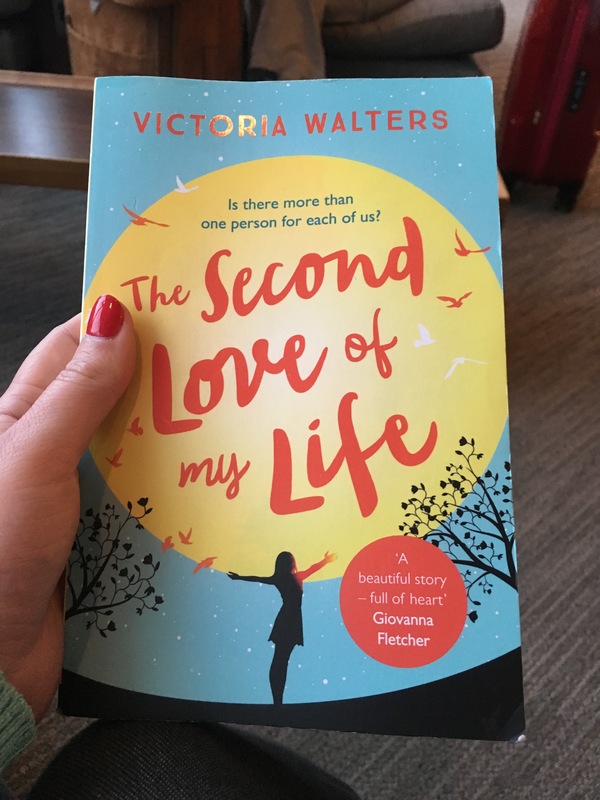 The Second Love of my Life is the debut novel from the lovely Victoria Walters. It follows the story of artist Rose who is trying to rebuild her life in fictional seaside town Talting after losing her husband at a young age in a terrible accident. Rose is such a likeable character who has been through so much, but still has such a big heart. It was interesting to start in the middle of a really glum time for Rose. Often stories start with upmost equilibrium followed by tragedy. I quite liked that we arrived in the middle of such a major part of Rose’s life. Like all good stories, the journey is bumpy and like all good chick lit novels, slightly predictable. I really enjoyed Victoria’s writing style as it was so easy to enjoy no matter what sort of day you’ve had. It’s the type of story that you can take on your commute or on holiday. Of course, given the nature of the storyline there is the occasional sad part, but on the whole this book is uplifting and full of hope. Sometimes you just need a bit of simple chick lit in your life and The Second Love of my Life ticks all of the boxes. Rumour has it it’s only 99p at the moment for the kindle edition too. Bargain! You love a good chick lit story that is heartwarming and a little bit different. Have you read The Second Love of my Life? What books are on your list to read this summer? 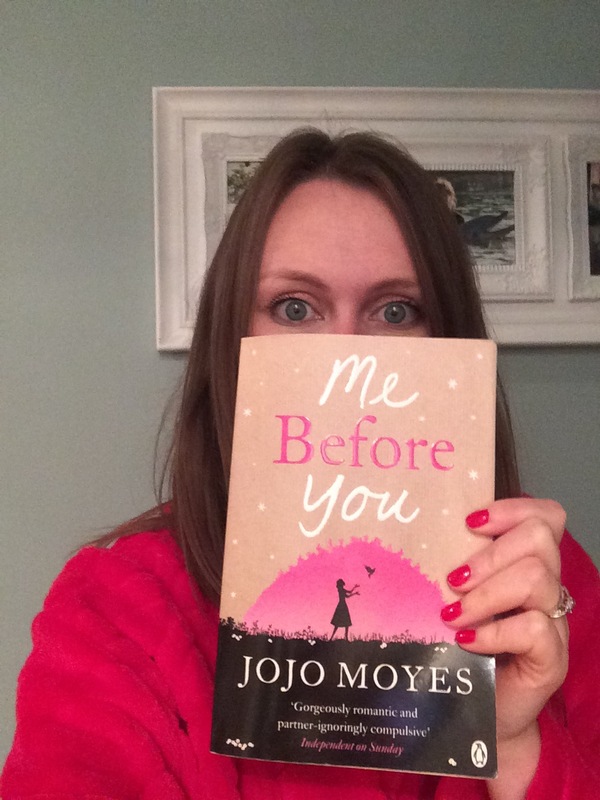 Aah… Jojo Moyes. What a complete legend. Her writing style is brilliant, telling a story so well that you aren’t even aware it’s a story. Her writing flows and is something you can read anywhere from the train home to the poolside in an exotic location. I read Me Before You at a time when I hadn’t read anything that had excited me for a while. I wanted something to wrap me up in a story so gripping that I couldn’t put it down and thankfully, this is just what it did. I love how I was unsure of the ending right up until the end, how believable the story is, how wonderful the characters are (even Will Traynor), and just how beautifully written it is. That is why it remains one of my favourite books of all time. I love that it’s gritty and not your average chick lit. I love that it’s absolutely hilarious and heartbreaking all at the same time. I love how it tackles a massive issue that is a bit of a taboo. Anyway, in case you haven’t guessed, I’m a huge fan. That is why I was super excited when I heard that Me Before You was being turned into a movie. It’s always a bit of a gamble when a book that you love is turned into a motion picture, but I was excited all the same. Even if I did have to wait a couple of years! A couple of months ago the trailer was released, and it was everything that I was hoping for. A great cast and beautifully shot. It made me even more excited for the movie, so I was super glad when it finally came out last week and I could drag my husband along on Saturday. I wasn’t sure if he would like it as he is such an action movie boy, but he rocked up with me anyway and I was pleasantly surprised when he said that he enjoyed it much more than he thought he would. Hurrah! Starring Emilia Clarke of Game of Thrones fame, the screenplay was written by Jojo Moyes and I think that’s why it has retained so much accuracy and remained true to the book. The cast are fabulous and have really succeeded in embracing the characters. The funny parts were absolutely hilarious on screen, it was like the scenes had leapt out of the book with added detail. Patrick’s facial expressions were the best. The sad parts were terribly moving, literally all I could hear around me were tissues ruffling and noses snorting. Overall I was very impressed with how the movie has turned out, such accuracy and detail with a wonderful cast. I would highly recommend a watch, even if you haven’t already read the book. Now I just need to read After You, to see how the story continues! ‘Us’, tells the story of Doug, his wife Connie and son Albie. Doug is a middle aged British man who finds himself in a situation when his wife Connie announces that she will be divorcing him after their family travelling holiday around Europe which they are having as Albie will be off to university after the summer. I had such a funny relationship with this book. At times I couldn’t wait to delve further, discover more about this family and their life. At other times I felt like I could only read a couple of pages before my attention was averted. It took me a whopping two and a half months to read, and landed up coming to both Iceland and Florida as well as in my handbag when we moved house. Honestly, I was so glad last week when I finally managed to finish it and could start something new. I think it was partly because being a girl in her mid twenties, recently married and not pursuing a career in science, I didn’t really have much to relate to with the lead character, Doug. I also found that Connie was a bit annoying at times and didn’t relate to her either. I think that this is the main reason that I struggled with it. It is quite well written though and certainly wasn’t torturous enough to give up on. There are some truly humorous parts as well as some heart warming snippets and I really found myself routing for Connie and Doug to make it work. 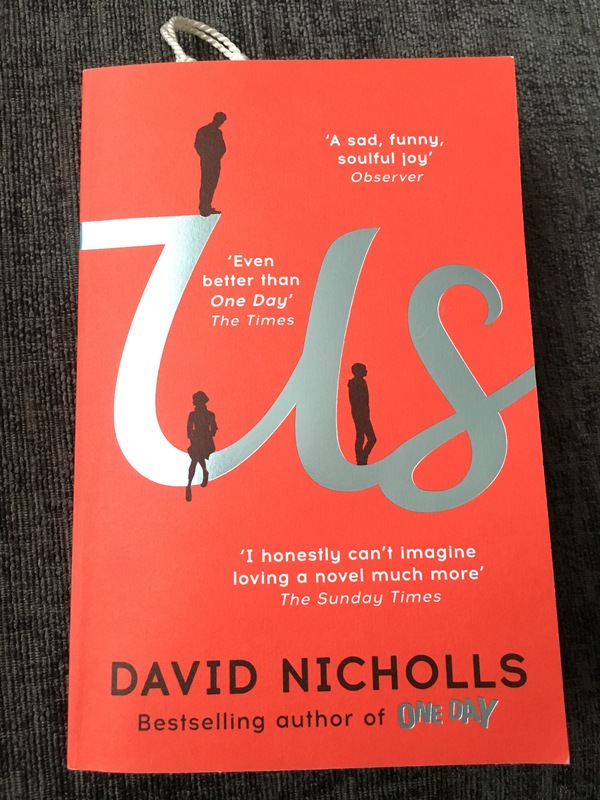 Whilst I did enjoy ‘Us’ overall, I won’t be re reading it anytime soon. Have you read ‘Us’? What did you think? Have you read anything exciting recently?